Did you know that we use music in our therapy sessions? We’re very excited about a new iPod we have from Advanced Brain Technologies. It contains every album of therapeutic music that ABT has. 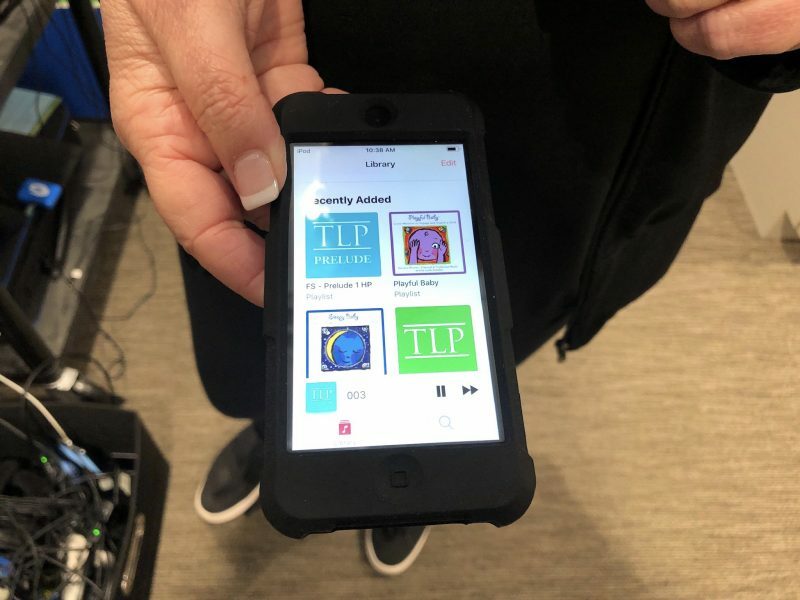 Having it all on this handy iPod means we can quickly bring it into your child’s therapy session, decide what they need and put it on rapidly. One of the music programs we use often is called Spectrum, and as you might guess we use it with many of the kiddos who are on the spectrum. This iPod has sleep programs on it as well. We have so many resources on it to choose from! We often use it with a headphone set that has a bone conduction unit, but we can also hook it up to a speaker. When we use the speaker we can get your kiddo used to the music before we put the headphones on them. This is a great modality that we use for our kiddos with auditory sensitivity. It can also help with sensory self-regulation and with anxiety and calming strategies as well as many other things. We use some of the listening programs on it sitting, and we use some of them with movement. So if you see your kiddos running around with headphones on, or if you hear your therapists talking about “TLP” or “Spectrum” or “In Time,” that is this modality. And this is something you can also purchase as a home program for yourselves, once we decide what works best for your kids. If you’d like more information about our music programs, this is put out by Advanced Brain Technologies. If you go to their website you can see that they have tons of research on how effective this type of therapy is. We’ve talked about this before on our blog and in our videos, but we have so many new families that I wanted to introduce this modality again to make sure you’ve all heard about and know about our listening therapies. Please, feel free to ask us any questions you have about our listening programs!